The Titan™ Chain integrates the latest advancements from Tsubaki’s research and development to increase the wear life of roller chains in high speed and harsh environments. 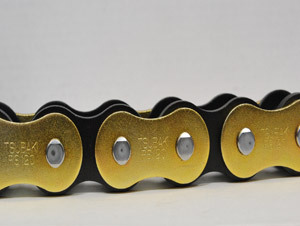 Our Titan chain incorporates the best features of our standard ANSI chain coupled with new and unique features to outperform other extended life chains. 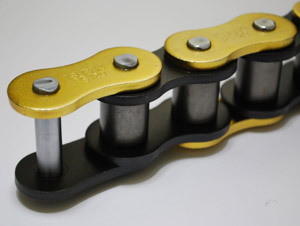 Titan chain delivers the ultimate in strength - extended wear life for harsh and high speed application environments. HOLD YOUR APPLICATION TO A GOLD STANDARD! *Contact us directly for any other requests for availability.